HillviewMed Inc. in Pequannock has released a consumer line of cannabidiol, or CBD, products as a natural alternative to over-the-counter and prescription medications. 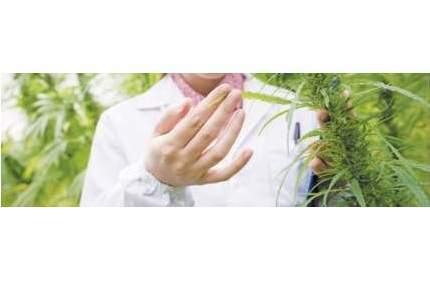 Through its new wholly-owned subsidiary HillviewShop, doing business as HillviewCBD, the company will manufacture, sell, and ship its products directly to consumers wherever hemp has been legalized. 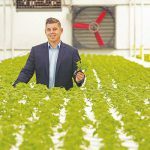 Ken VandeVrede, Hillview Med Inc. CEO, shows his hydroponically grown basil. CEO Ken VandeVrede spent five years as chief operating officer of California-based cannabis company Terra Tech Corp. before moving back to New Jersey to start HillviewMed. The company’s growing and manufacturing facilities are USDA Certified Organic, as well as compliant with the Global Food Safety Initiative and Good Manufacturing Practice. Products are also tested in a third-party lab. HillviewCBD uses exclusively pesticide-free hemp. According to the company, when New Jersey enacts hemp regulations, it will seek a cultivation and manufacturing license. Plans for the construction of its own processing facilities are already underway. HillviewCBD’s line of products includes tinctures, edibles, and lotions.